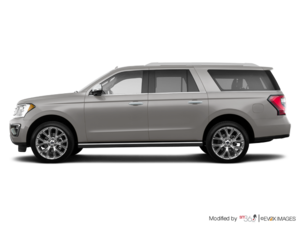 Those in search of an extremely safe SUV need look no further than the 2018 Ford Expedition, which can be found at at your Lakeland area Ford dealership, Bartow Ford. This SUV excelled in government crash test ratings, earning it the top spot among the competition. What’s In a Safety Rating? The results are in and the all-new 2018 Ford Expedition received five stars, the top possible rating for crash test safety, from the National Highway Traffic Safety Administration. This is the only vehicle within its segment of full-size SUVs to earn the coveted rating for Overall Vehicle Score, making it the safest out of the competition. To earn the Overall Vehicle Score of five stars, the Expedition got perfect scores for side- and front-impact crash tests, plus a four-star rating for resisting rollover collisions. Ford credits much of the Expedition’s safety to its sturdy structure. Compared to the previous year’s model, the all-new 2018 SUV saves an average of up to 325 pounds, thanks to the use of a military-grade, high-strength aluminum alloy. This savings allows for a lower center of gravity, which enhances the driving dynamics as well as vehicle stability. Additionally, the latest Expedition comes standard with dual-seat-belt pyrotechnic pretensioners within the retractor and anchor. This feature maximizes the ability of occupants to stay in place if a collision occurs. In addition to enhancements to the body and frame of the 2018 Expedition, Ford took other steps to improve its safety for this model year. 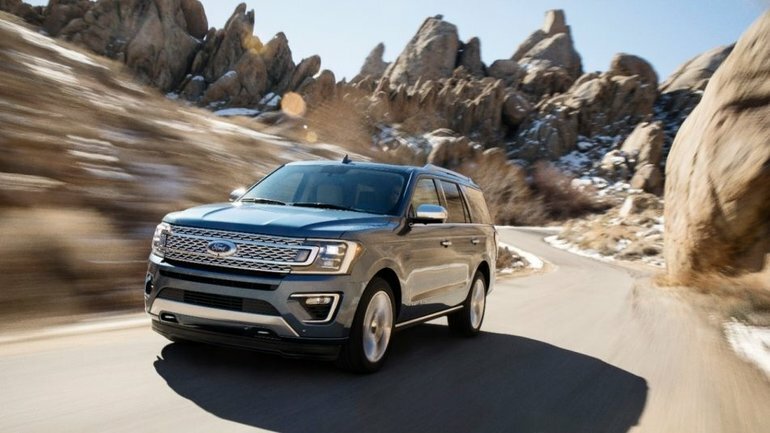 The 2018 Expedition now has automatic high beams, enhanced active park assist, Pre-Collision Assist featuring Pedestrian Detection, active cruise control featuring stop-and-go, Blind Spot Information System, and Cross-Traffic Alert. These driver assistive and safety features work together to give you more confidence as the driver and enhance your control over the vehicle. Ford supplements the safety and driver assistive features of the 2018 Expedition with the SUV’s ability to tackle all driving conditions. The Terrain Management System comes standard with 4WD and lets you choose one of seven preset modes to maximize your driving dynamics for the current conditions, such as gravel or wet. 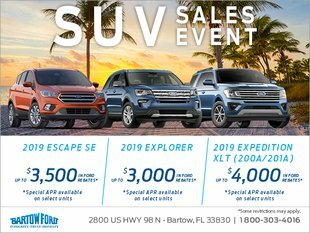 To learn even more about the 2018 Ford Expedition or get behind the wheel of this incredibly safe family-friendly model on a test drive, stop by Bartow Ford, or you give our Lakeland area Ford dealership, Bartow Ford, a call at 800-303-4016.